A single mum came back from a family trip abroad to find she was homeless after the council gave her flat to someone else – and EVICTED her. Candice Cridland flew to Jamaica to say goodbye to her dying grandmother but when she came back discovered her home had been given to someone else – after she had been out of the country for a couple of weeks. The mother-of-two had been living in a flat in Bow, east London, with her daughters Callie, four, and Nahla, 18 months, which was given to her by Waltham Forest Council. 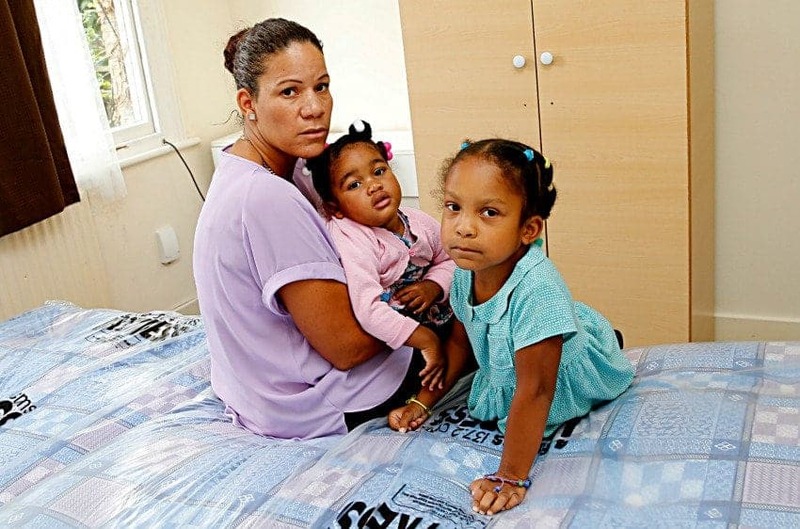 After missing an appointment with the housing department while the 42-year-old was abroad, Candice’s belongings were moved out of the flat and it was given to another family. The part-time train driver who works for Transport for London was left “distraught” after the repossession of her flat following the trip abroad in early May. She said: “When I got off the plane and got the news I just broke down. I was so distraught and I just didn’t know what to do. “I just wanted to go home but I had to find someone to look after the children and go straight to the council wearing the clothes I had slept in. 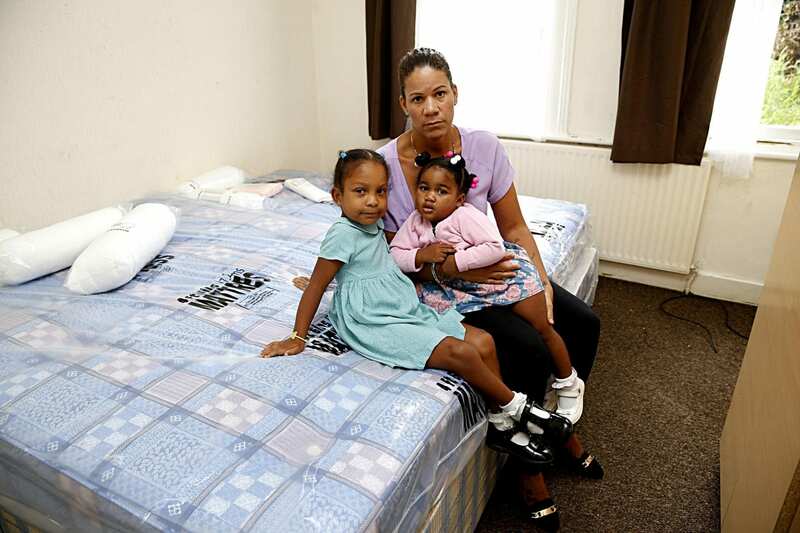 Candice and her children was given a room in another flat in nearby Leyton as a replacement for their previous flat. But when she arrived she was “extremely angry” to find a smashed window in the bedroom, exposed wiring in the ceiling and a front door that looked like it had been kicked in. She said she was left with no option but to walk out and have her children sleep on her friend’s couch. Candice added: “I refuse to put my children in harm’s way. I would rather sleep in a car than in that room. “The hole in the window pane was so big I could fit through it. Someone could have come in while we were sleeping. “There were metal bolts jutting out from behind the fridge. They were at head height for my toddler and she’s at the climbing stage and could have hurt herself. Candice, who is claiming housing benefits, says she has worked since she was a teenager and is finding it difficult to rely on help from the authorities. After taking photos of the property and heading back to the council the following day to request another flat, Candice claims her concerns were ignored. She believes the unstable lifestyle has affected the health of her daughter Callie, who is a pupil at Chingford Parkside Nursery. 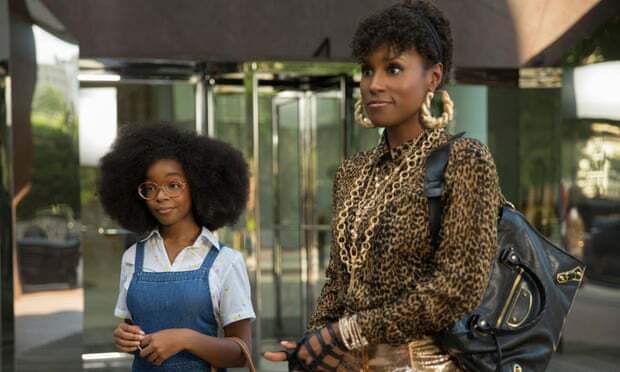 Candice added: “For nine days I told them I can’t go back there but they just dismissed me and told me to go back even though it was not suitable. “Callie has developed obsessive compulsive disorder and it takes ages to get her ready in the morning. A spokesman for Waltham Forest Council said: “Following her move, Ms Cridland raised with us a number of issues including faulty windows and poor wiring. “We raised all the issues with the managing agent and they advised us they would be fixed. “We recently spoke again with Ms Cridland, who told us that while the windows were working the wiring was still outstanding.